Paravlon - Meaning 'Missile' in the Greek language, is laser cut from 1/8" thick birch plywood, and brings an elegance and a feel of peace and professionalism to any room in occupies - whether a corporate headquarters, or a family living room. The design was inspired by both the shape of a rocket's thruster and the inner structure of a jet engine. 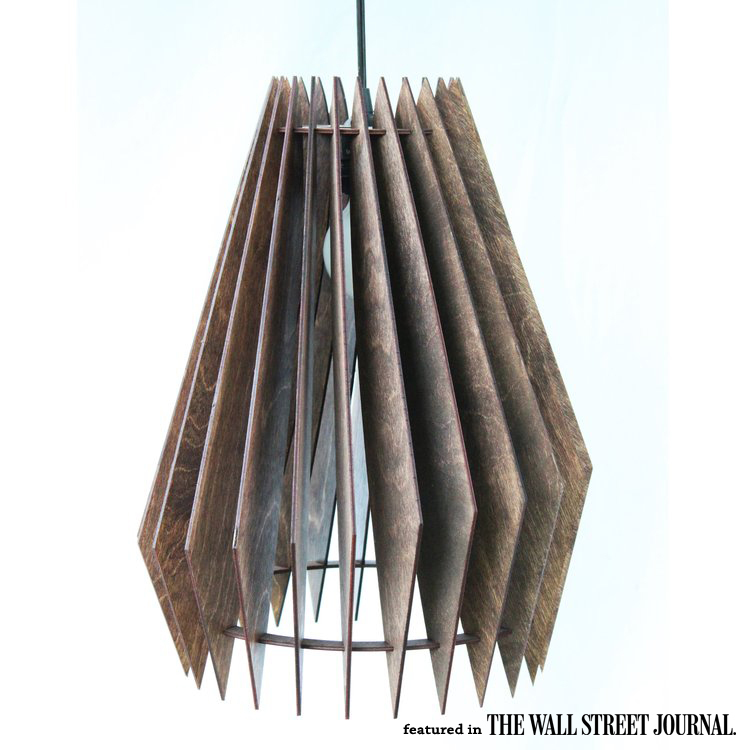 This lamp lighting fixture is composed of 27 interlocking pieces that come individually labeled and ready for quick & simple assembly. Wood glue can be used to reinforce the joints, but is not necessary - the lamp will function and stay together without glue in normal conditions. 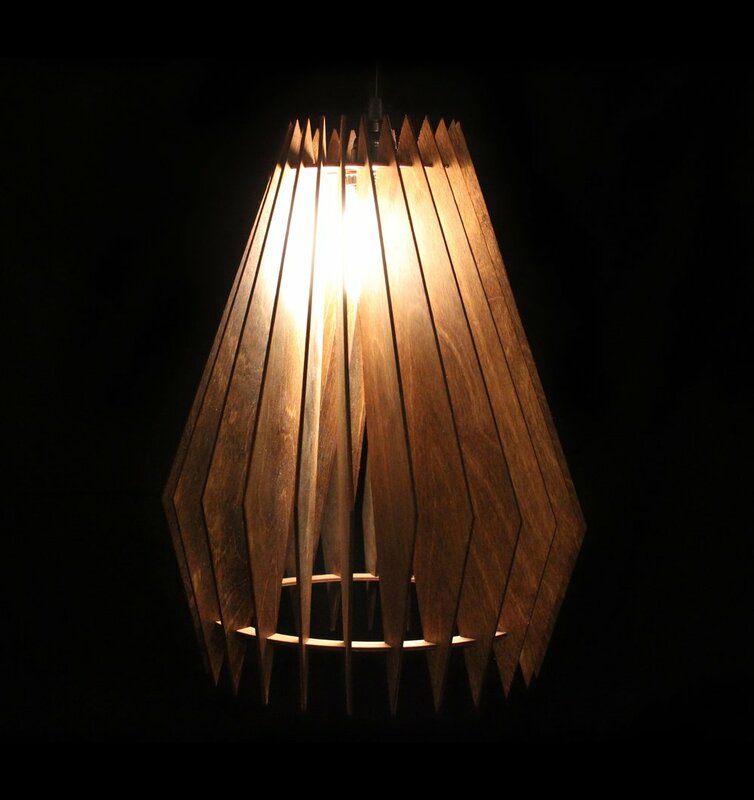 The light can be altered from its default walnut tone and can be stained or painted in a variety of different color options. If you do not see your preferred color displayed, please reach out to us so that we can accommodate your aesthetic taste.